Amazingly crafted resham matka saree from Kolkata. 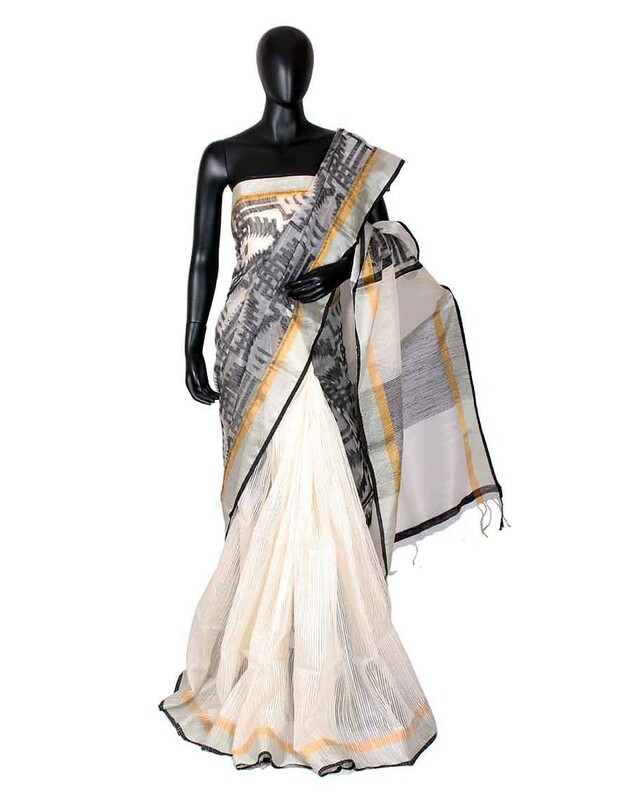 Kolkata half-n-half traditional reshma matka Jamdani saree in white and silver with self weave design. It’s not so frequently that you get to see the sheer fragility of Jamdani weave romancing the half and half saree concept, where the base and the pallu of the saree are differently colored. The piece of elegance with a 6.5 meter length is colorful and festive yet very delicate and classy. Duo it with a colorful up cycled blouse for a fun evening, available at Kabita’s saree collection.